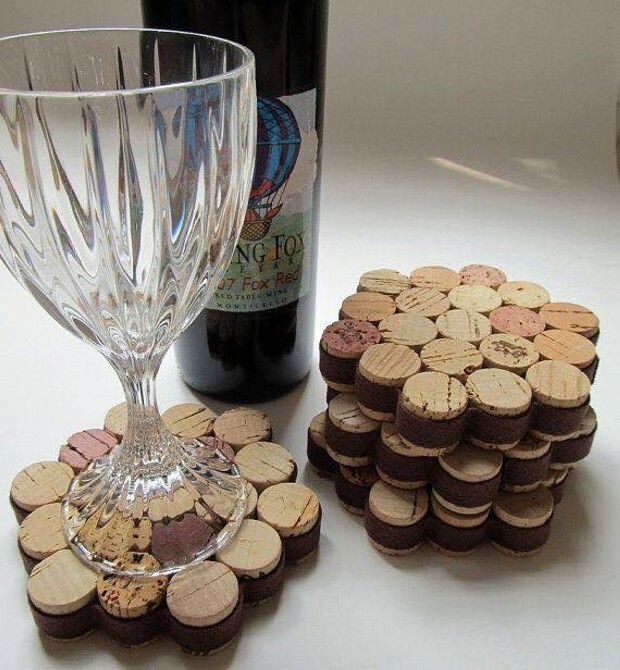 Almost every one of us is familiar with the cork stoppers. 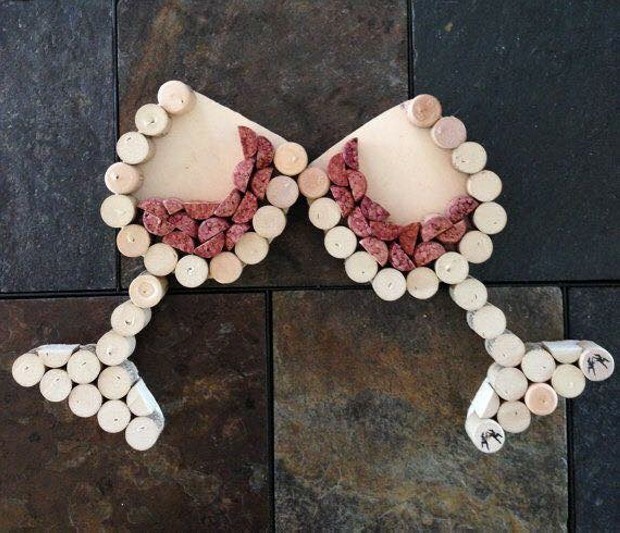 They are used in wine and champagne bottles to ensure their quality. I literally love the mesmerizing sound when a champagne bottle is uncorked. 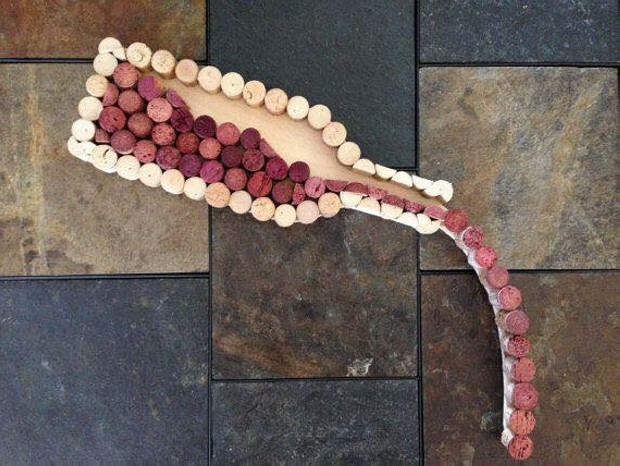 A cork is basically composed of suberin that is a hydrophobic substance. Because of its fire retardant properties it is used in the variety of products, the most common of which is wine stoppers. The montado landscape of Portugal is famous for producing it mainly worldwide. 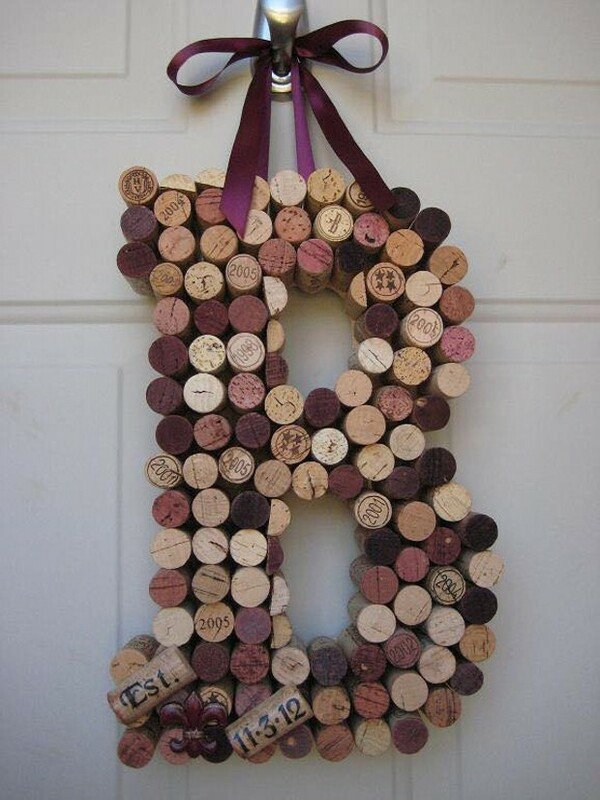 Lets talk about recycling these cork stoppers into some art crafts or some beautiful decoration pieces? Isn’t it great? Wine and champagne is a must have in every house hold of west. No dinner lunches or parties are meant to be complete without some fine wine or champagne. 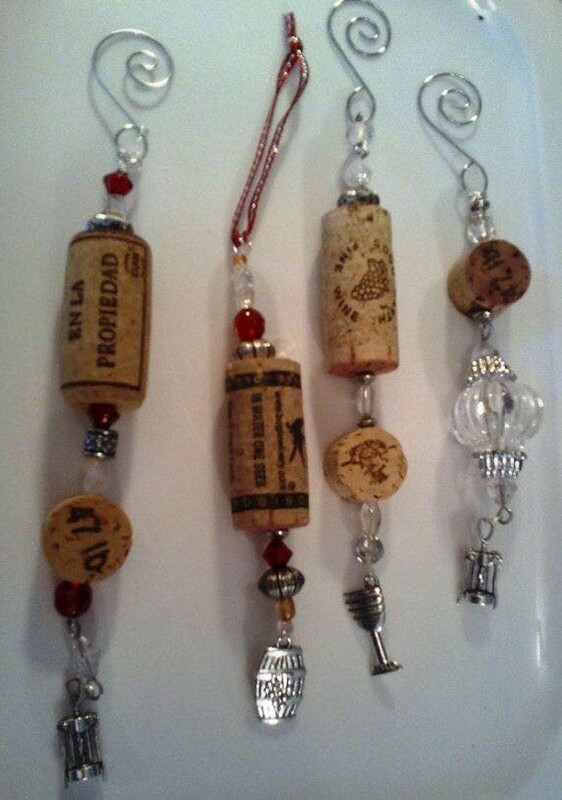 So its pretty obvious that we collect a number of cork stoppers daily in every house hold. 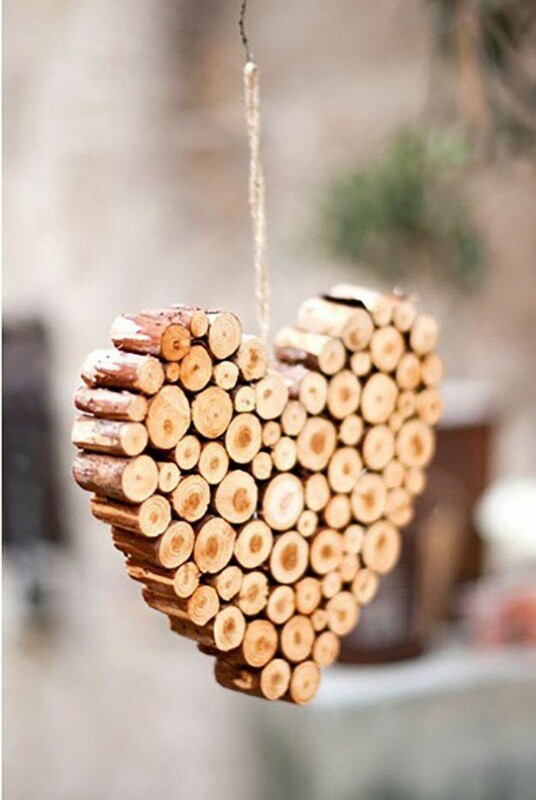 So do not just considerate a piece of crap or trash, pick it up and ponder on its beautiful shape and structure and think about recycling it into some real art craft that you could place in your living room or anywhere in the house as some center piece. 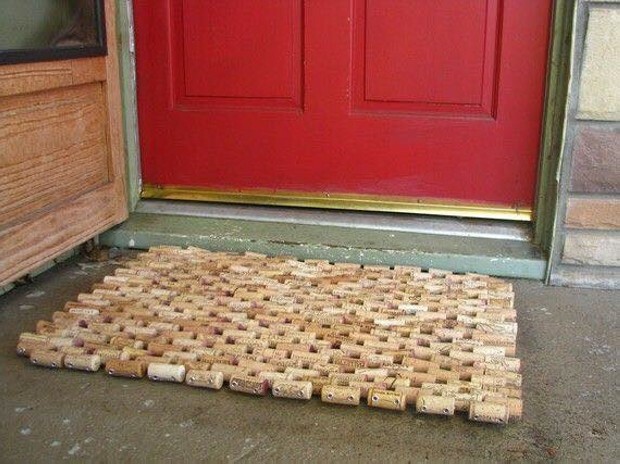 Now lets talk about some practical feasibilities of turning these cork stoppers into some art crafts by recycling them. 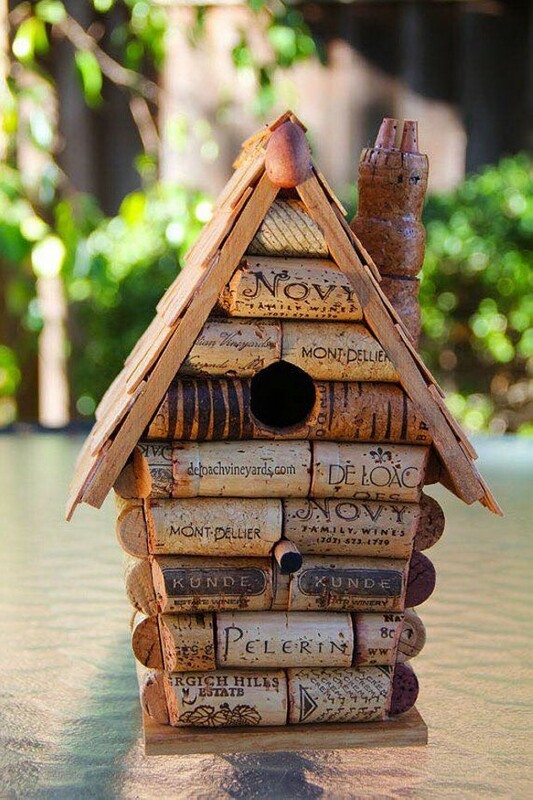 Here are a number of inspirations or demonstrations that are meant to give you motivation of repurposing cork stoppers. 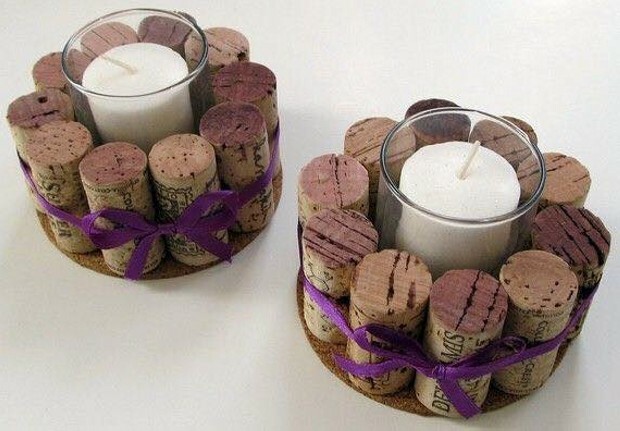 For instance in the first ever demo, a candle container is made by upcycling the cork stoppers. Just an additional silk ribbon is used in making this candle container. In another picture a caricature of a champagne bottle is made which is pouring some liquor out. 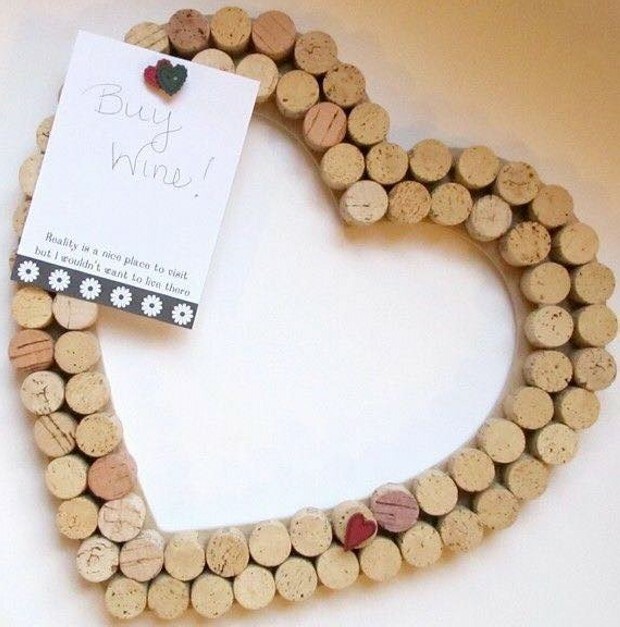 Another heart shaped caricature is made simply by repurposing the cork stoppers. 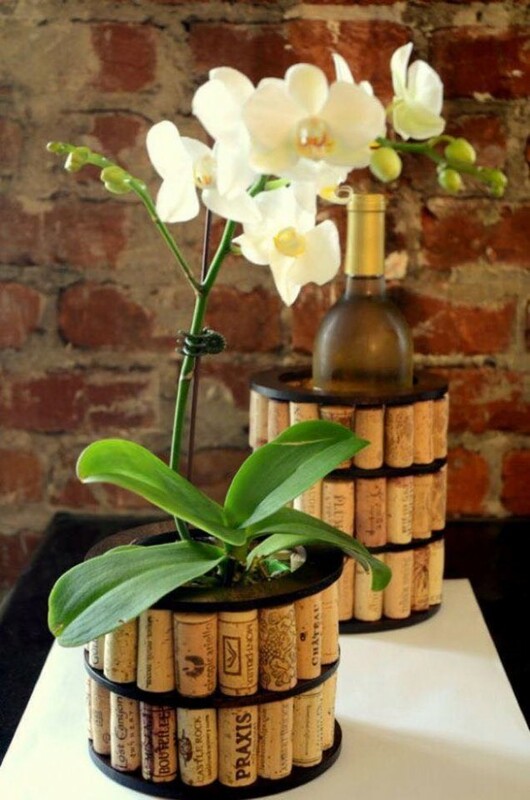 These are perfect example of some decent center pieces.